Rainbows have been a hot topic lately with St. Patrick’s Day, rainy weather, and the birthdays of two special little ladies this past weekend (Happy birthday Scarlet & Niko!). 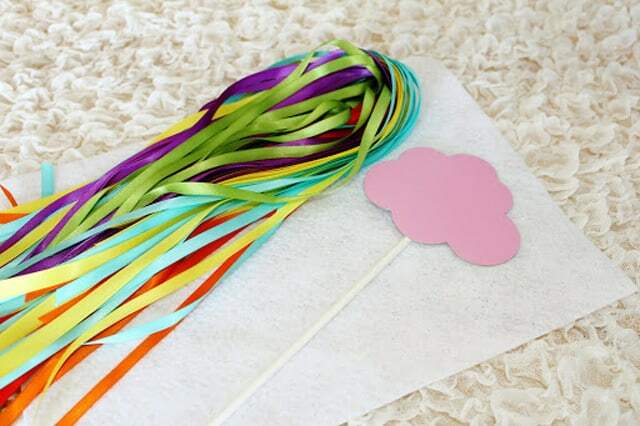 We’re not quite ready to end this color craze and wanted you to join in the fun too with these No-Sew Rainbow Wands. Aren’t they adorable?! 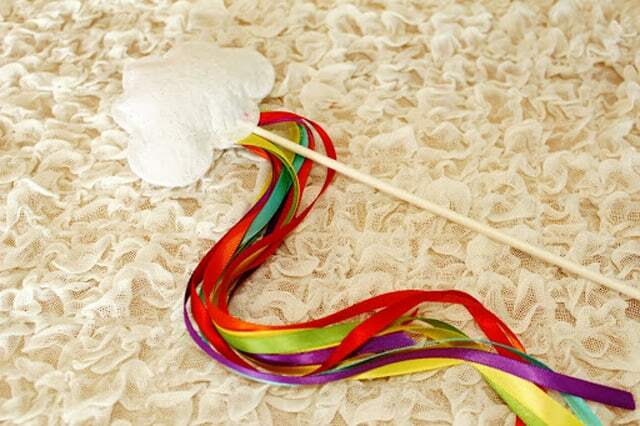 They make great party favors and are easy enough that the kids can join in on the crafting fun. Melissa and Kellie from Icing Designs created these beauties, along with many other paper party goods they have in their shop. I’ve always wanted to throw an ice cream social just to make their DIY Ruffled Ice Cream Cones. If you’re planning a birthday party, check out their paper straw birthday candles and paper flower crowns. This week we are celebrating all things rainbow! We have had a lot of rainbow requests lately, so we thought it would be fun to share some DIY inspiration for your next rainbow party! Our friend and DIY corespondent, Katie had a super sweet rainbow princess party for her little Siena’s 4th birthday party this past weekend! We thought it would be great to share some of the DIY projects she created for the party! 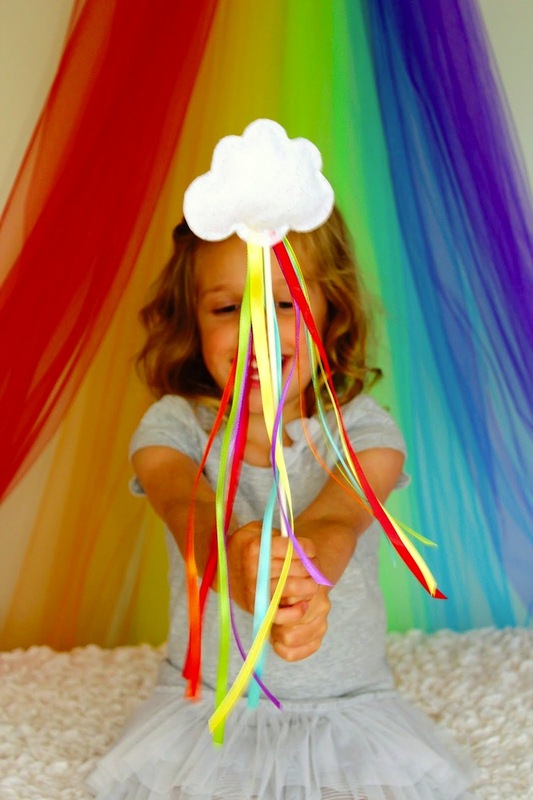 We love these cloud and rainbow wands she made for all of the little girls to take home! Place two pieces of felt together (If you are using glittered felt, place wrong sides together). 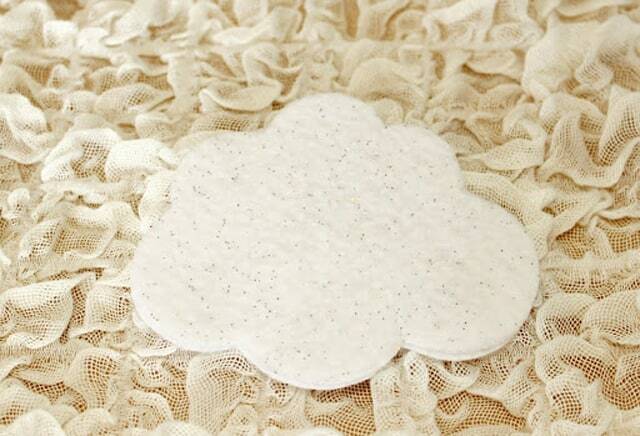 Draw a cloud shape onto the felt and cut it out. Put a thin line of hot glue just along the edge of one cloud piece, leaving a 2 inch opening at the bottom. Place the other cloud piece on top and stick together. 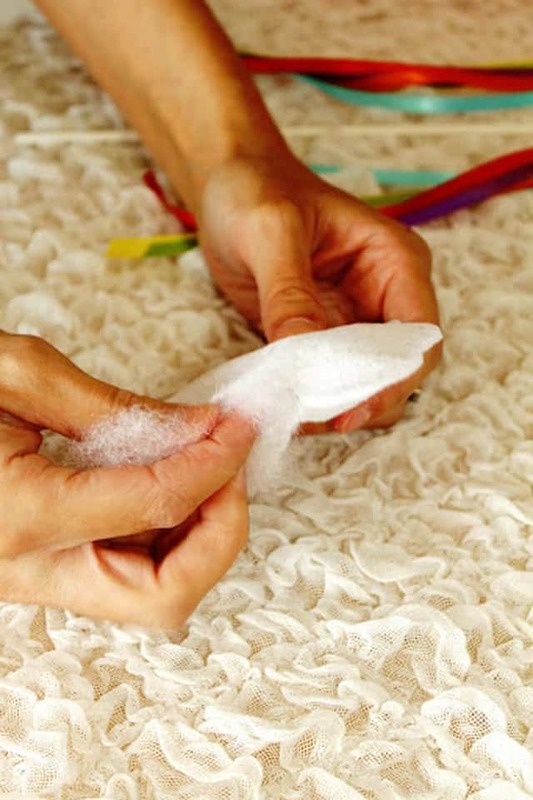 After the glue is dry, fill the cloud with stuffing. 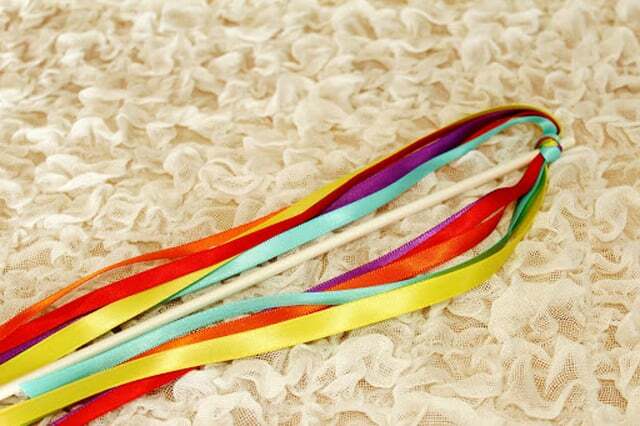 Gather your ribbon pieces together and tie them in a knot around the top of your lollipop stick. Place a dab of hot glue on the knot and stick it inside your cloud. Close up the bottom of your cloud with a little more hot glue and you are finished! I’m going to do something similar with my students in art to teach the order of the color spectrum, thanks! So lovely! And so easy to make. Thanks for the tutorial. Planning on using this to make shooting star wands for my daughter’s space-themed birthday party! bookmark it and return to learn extra of your useful info.